Cecil and Flora are running from a cruel Lord. If he captures them, he will ravish Flora with Cecil watching and then torment and kill them both. 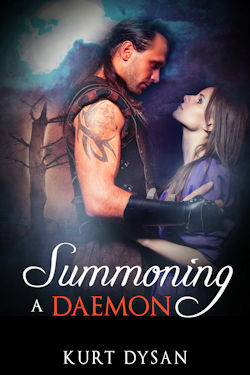 According to the Gypsy who is hiding them, their only hope is to be rescued by a Daemon. Flora learns the woman has the power to summon a daemon to rescue them—but there is a price. The daemon wants her virginity. It's her only hope to save herself and the man she loves. She agrees, but Cecil can never know. grant this favor. Without his help, sooner or later the Lord’s men will capture you. And then…” her voice trailed off.